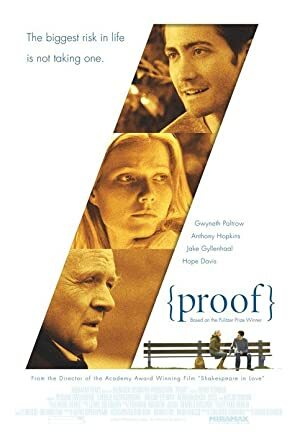 Proof (2005) – What's New on Netflix Canada Today! The daughter of a brilliant but mentally disturbed mathematician (recently deceased) tries to come to grips with her possible inheritance: his insanity. Complicating matters are one of her father’s ex-students who wants to search through his papers and her estranged sister who shows up to help settle his affairs.